For Newsmill.se: If not Putin - then who? 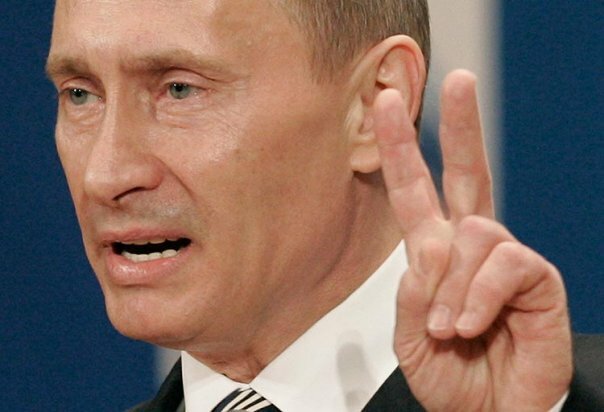 The bitter truth is that twelve years with Putin have eradicated next to all viable alternatives in Russian politics. "Resign Putin!" has been the primary popular demand of the protests that have shaken Russia ever since the country's farsical parliamentary elections at the beginning of December. An increasingly clear dividing line is now drawn between constructive and destructive interests in Russian politics, where the power's mudslinging of the opposition is a double-edged sword in the political battle that is now underway before open curtain in Moscow, but where the question also is whether the opposition can and wants to shoulder the responsibility that a revolution would involve. Here an open letter from Boris Berezovsky - an exiled oligarch - risks setting the tune to portray the opposition as irresponsible western lackeys with the single aim of causing chaos and set fire to Russia. When one of Russia's most hated men, Boris Berezovsky, in an open letter to Putin appeals to him that he should resign, the question is whether the purpose is that he should meet popular demands or if the oligarch simply wants to throw a torch at the powder keg that Russian politics have evolved into over the last one and a half month. Abandoned by both friends and enemies, Putin soon has only the Russian Orthodox left to turn to for protection, as Berezovsky portrays it, and the oligarch turns to the Russian leader in a prayer that he will save the country from a bloody revolution. The reply from the Moscow patriarchate was swift: "All the previous doings of this man prompts a single thought. Listen attentively to this gentleman and do exactly the opposite of what he proposes." As is so often the case in Russian politics, it is at the same time a both skilled and primitive game that is played out and, of course, this may be viewed merely as yet another cynical ouverture from an exiled oligarch, who seizes every opportunity to sow conflict among the Russian elite from which he himself has become an outcast and now has no influence over. Berezovsky's ouverture puts the finger on a crucial point in the pre-election debate: "If not Putin, then who?" The bitter truth is that 12 years with Putin have eradicated next to all alternatives in Russian politics. Both history and the present show that opposition leaders either are those who have not been able to get along with Putin or they are marginalised and compromised politicians from both left and right, who have long been thought obsolete. On two points, Berezovsky is right. 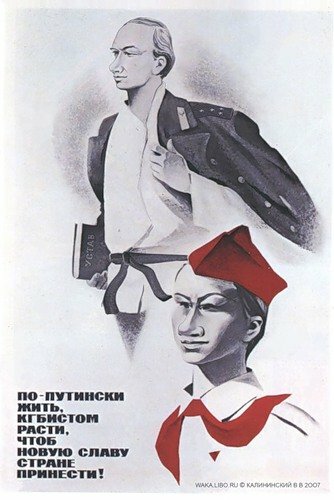 The first is that the party in power, United Russia, stands on the brink of disaster. 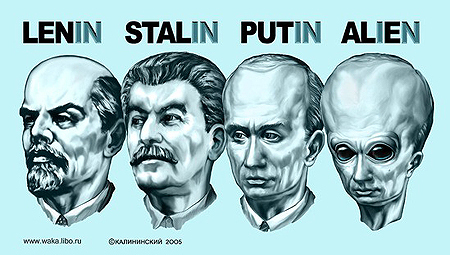 Several of the party's most prominent representatives have been forced to resign and the internal conflicts of interest, that Putin for so long has either skilfully balanced or swept under the carpet, are now out into the open. The second is how the Orthodox church is a power that stands above politics. If the United Russia power coalition collapses under internal and external pressure, then it is possible that the church will stand out as the single unifying force, which may act with sufficient moral weight to avoid chaotic and potentially violent developments. With the December protests, bottled up discontent has been unscrewed and the spirit has been let out. The current critical media coverage - even on television - would not have been possible or even conceivable a mere month ago. There is discussion about a second glasnost - openness. People in common welcome a lustration and weathering of the stale smell of power, which for so long has lain like a wet blanket of corruption over Russian everyday life. At the same time, Putin and his forces have begun to mobilize a counterattack. The further course of the battle and its final outcome remain uncertain. When Berezovsky from his western exile pleads with Putin to save Russia by sacrificing himself, he does not only play with a Putinist system on an increasingly loose foundation, but he also plays into the hands of the Russian leader's attempts at blackening the opposition. The motive for an otherwise impotent Berezovsky wants to add to the confrontation of Russian society in order for it to collapse under its own weight. That the fallen oligarch's, Berezovsky, letter to Putin has been published by the independent radio station Echo of Moscow, has opened the watergates for a crackdown on this leading alternative news outlet. 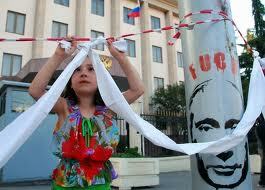 Recently, Putin accused the radio station for "pouring diarrhoea on him all day long" and to b on a western leash. Also other opposition leaders have come in for their shares after a meeting with the new US ambassador to Russia. 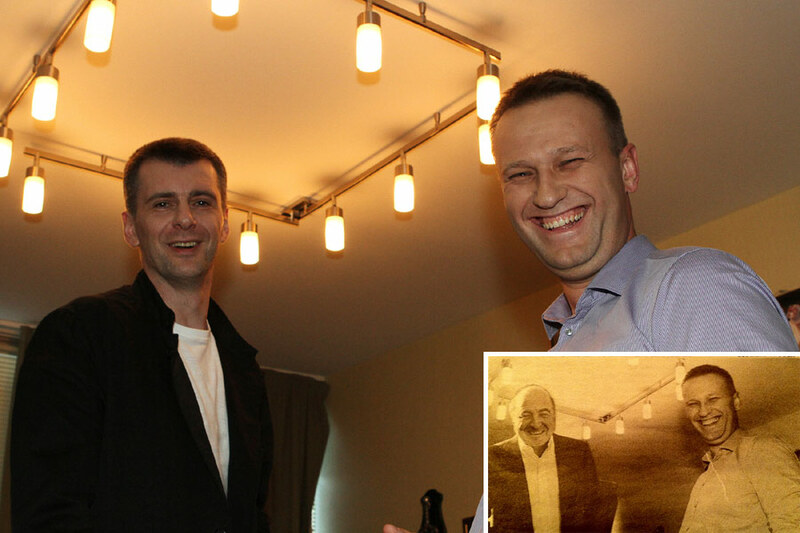 A picture of the well-known blogger and opposition activist with the (Jewish-born) Berezovsky was also recently published later to be found photoshopped with. 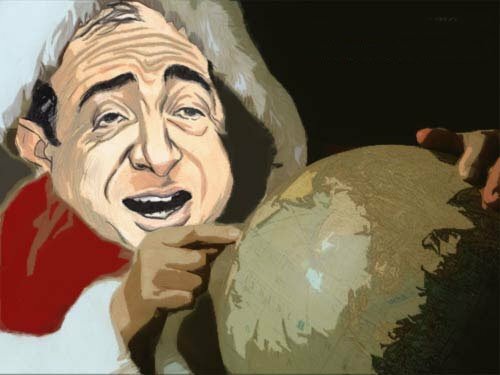 The theme is familiar and alludes to the foundations of the Putinist system, namely that oligachs in association with western interests want to plunder and weaken Russia by usurping state power. From the oligarch rule of the Yeltsin era to the coloured revolutions of Eastern Europe, the western threat - often with an anti-semitic undertone - has been drummed into public consciousness in order to legitimize an increasingly corrupt regime. When the backwash of the Arab spring and popular protests in other parts of the world now rolls in over Russian shores, it is a short step to pull off some old tricks. The system to exercise power that Putin constructed during his presidential reign departed from the role of the office as guarantor of the constitutional order in a very thwarted interpretation. To safeguard the internal and external sovereignty, the constitution was interpreted in a way that gave the president a constant and pragmatic right to declare a state of emergency in both small and big matters. This interpretation was accompanied by systematic legislative work, where basic civic rights and freedoms were limited to the point that they were under constant threat of being repealed in practical legal application. The motive was to prevent illegitimate interests from usurping state power, because without sovereignty - the capacity to self-rule - there could be no talk of civic rights and freedoms. This meant centralization of power and intolerance towards dissent. The result is evident today in a system with both the right and resources to repression, ready to nip any negative manifestation of views in the bud. What recent events have illustrated is a disorientation and a faltering will to exercise this power. When police and security services stand idle in front of mass protests the fears and apprehensions of repression and retaliation have faltered. It is an inner struggle of popular conscience, filled with undecisiveness to stability or change, where questions of courage, morale, and conviction are put to the test not only among those in power or in opposition, but also to a greater extent among ordinary people. It is simply difficult to picture a future without Putin - to thread into the unknown. One knows what one does not want, but not what one wants. This uncertainty is now used by Putin by urging, in his recently published electoral platform, for reform instead of a repetition of the mistakes committed in the wake of the country's previous revolutionary convulsions. How successful this tested formula will be this time is yet to be determined, as an increasing number of people associate continued stability with increasing stagnation. Putin's credibility as a reformer is limited, as twelve years in power have shown little result despite recurrent plans and persistent attempts at reform. 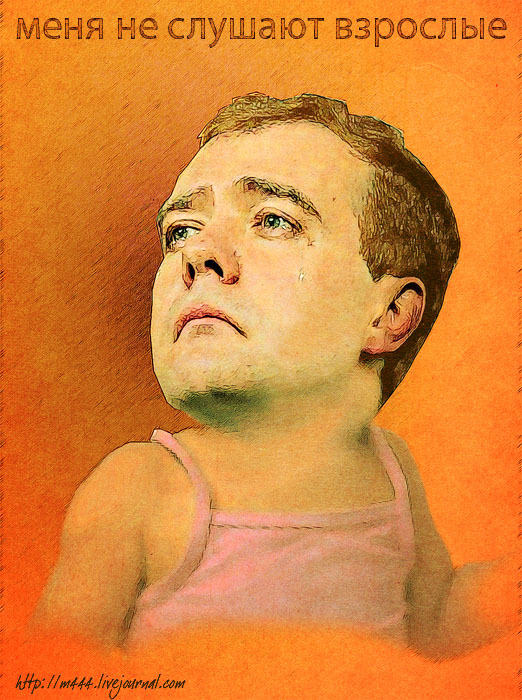 The division of powers between an executive Prime Minister and a reformatory President, which would have driven change, has moreover led to an increasingly marginalised Medvedev, despite the latter's attempts at forming a higher profile and greater independence during the last four years' "tandemocracy". With the December events, Putin's popularity figures have reached a low. From a persistent support of some 70% of Russians, figures now oscillate around 50%. Additionally, in the latest opinion poll - from a state-directed institute - a quarter of respondents state that they have lost confidence in him. Much thus indicates that the results of the 4 March presidential vote will determine whether Russians will consider the elections as legitimate or not. If Putin receives more than 50% of votes and the election is decided by a single ballot, people are likely to question its validity. Being forced to a second round might however also be construed as a sign of weakness, which could strengthen the opposition in the runup to the final ballot. The temptation to tamper with the vote to gain a appropriate result may therefore increase in the eyes of power. Putin's leadership will be put to a hard test in the coming months. Previous experiences have shown that he has difficulties in coping with crisis situations, which either have caused passivity or rash decisions. There is good ground to assume that Putin under such circumstances has trouble to reconsider and act in changing and unclear situations. The Russian leadership currently appears fumbling to grasp various ways of handling popular protests, with both concession and confrontation. The overarching tendency though seems to be to tighten the screws on the opposition. Several representatives of the opposition and their relatives have become subject to direct or indirect threats and reprisals. The great protest manifestation planned for February 4 has also been banned by Moscow authorities. As Russia now is likely to meet with continued popular protest, it constitutes a balance act for Putin and his power apparatus. If he chooses to be too tough in quelling the opposition, the popular reaction may lead to greater protest to the extent that it threatens the regime. The risk is then that loyalty to power will collapse like a house of cards. At the same time, it is hard for Putin to allow continued public critique of how Russia is ruled, as it may lead to the same result in an avalanche of discontent over social evils disclosed. The question is if he will be capable of balancing between confrontation and tolerance. That most people seem to take it for granted that Russia's next president will be called Vladimir Putin is also rather a curse than a blessing, as it creates unclarities as to which voter groups will be activated or become passive - regime supporters or opponents. The question here is if the mere threat of instability may drive the people to the ballots in support of the prevailing order. Will Putin be able to portray his policies as constructive and that of the opposition as destructive, there is still a chance that he may conquer a positive agenda in relation to the electorate. Here, it appears that the letter of the widely hated Berezovsky comes as a godsend, but at the same time sows a seed for a dirty election campaign, which may eventually be a curse to Putin. What the outcome will be may be indicated at the 4 February opposition protests - already the next weekend.The final say will however be made only by the 4 March presidential elections. The question then is if fears for a white revolution and instability or the wish for free and fair elections will emerge victorious. Because, regardless of how one judges the Russian regime's ability to weather the storm, the recent protests mean that Russia stands at a crossroads between repression, revolution, or reforms.